Can I Get Social Security Disability For Cataracts? Question: Can I get Social Security disability for cataracts? Answer: Probably not for the cataracts themselves since it is almost always possible to surgically remove the cataracts. However, when a person under full retirement age, which is currently 66, has cataracts the first question is why the person is getting cataracts. For many younger people with cataracts, the answer is bad luck. The cataracts are simply “senile” cataracts of the sort that almost everyone gets when they get older. The person just happened to get “senile” cataracts at a younger age than most people. 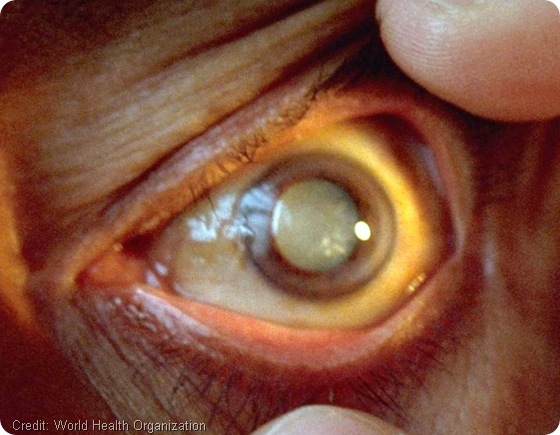 For some people, though, the cataracts are associated with some other eye condition such as damage from diabetes, infection an eye injury or exposure to some medicines. If the cataracts are associated with some other eye condition, particularly if they are associated with diabetes, it may not be that easy for the eye doctor to restore vision. If you have visual problems, regardless of the causes, the primary factors in causing disability are loss of visual acuity and loss of visual fields. Acuity is the sharpness of vision. 20/20 vision means that an object 20 feet away looks like it should to a person with normal vision. 20/100 vision means that the object looks like it would to a normal sighted person if it were 100 feet away. Visual field refers to how far out to the side and above and below the person can see. A person with severe visual field loss has tunnel vision because they can only see straight ahead. Visual field are expressed in angles. An visual field angle limited to, say 20 degrees, is bad.